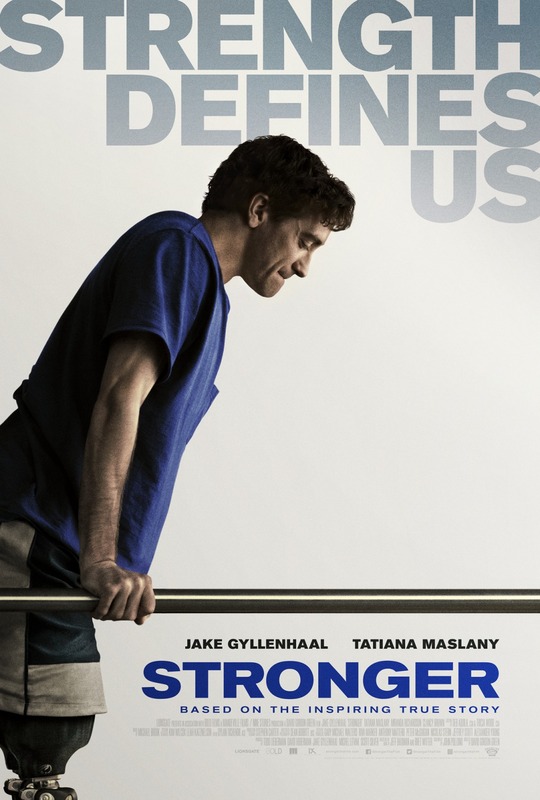 Jake Gyllenhaal holds nothing back in his portrait of Boston Marathon bombing victim Jeff Bauman. The usual inspirational story of a man who loses his legs/learns to walk again receives grittier treatment in"Stronger." We see the agony Bauman's injuries and his difficult recovery made more difficult by family members unable to do the right thing at the right time. Bauman roasted chickens at Costco, rooted for the Red Sox, and drank too much. His girlfriend (played by the excellent Tatiana Maslany of "Orphan Black") breaks up with him multiple times. To win her back, Bauman shows up at the Marathon finish line just as the bombs explode. Events turn Bauman into a Boston hero, as he helps identify the bombers. But recognition by strangers and smothering by his family does little to help. "Stronger" doesn't flinch in the story of a flawed guy living a rough life, and that makes this story powerful and inspiring. "Stronger," 3½ stars, rated "R." Does it deliver what it promises? Surprising story of flawed hero. Is it entertaining? One of the year's great performances. Is it worth the price of admission? Might be an awards season contender.